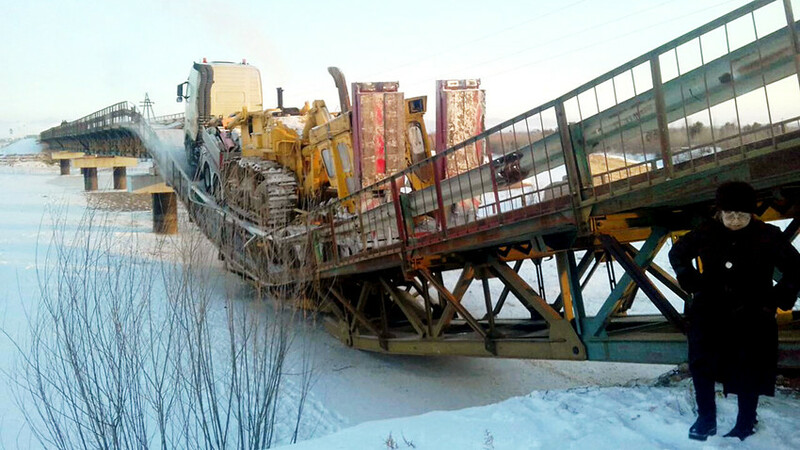 A major road accident happened in Russia's Republic of Buryatia on Feb. 2. 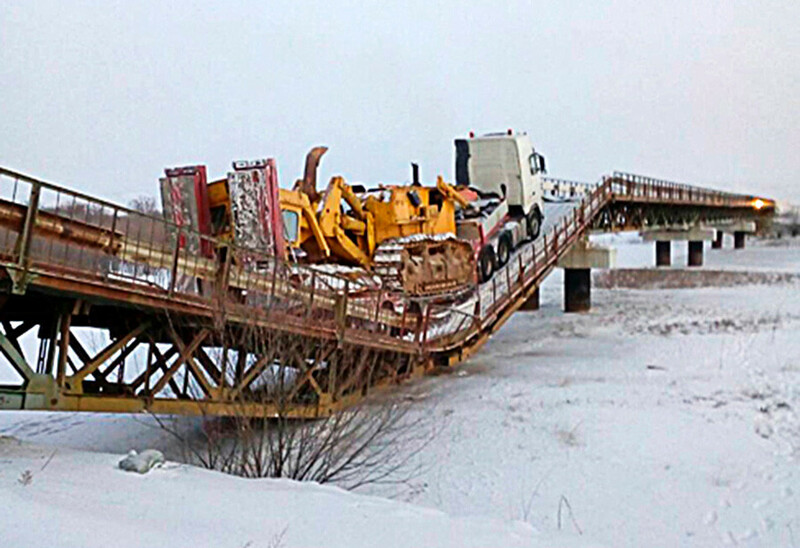 A truck carrying a tractor caused a bridge to collapse between two villages: Staraya Kurba and Novaya Kurba. 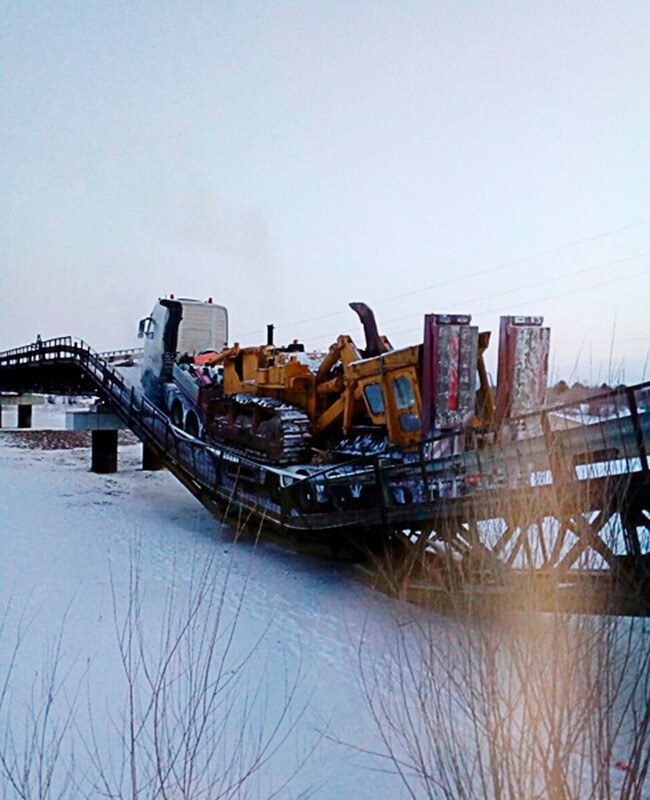 The driver was unhurt and even said that GPS had guided him to the bridge. But when asked if he had noticed the maximum load sign, or just decided to ignore it, he made no comment. The accident left locals without the only road to their houses and vital social services. A bus usually transports kids from one village to the kindergarten in the other, and Staraya Kurba has no hospital. Workers and police are reportedly at the scene, but it’s still being decided which machines will be able to lift the truck.